Karachi: 'So hot I can barely speak' Jump to media player Labourers continue to wait for work in the searing heatwave of Pakistan, where more than 200 people are now believed to have died. Toll rises in fatal Pakistan heatwave Jump to media player A heatwave in Pakistan's southern Sindh province claims the lives of more than 200 people. 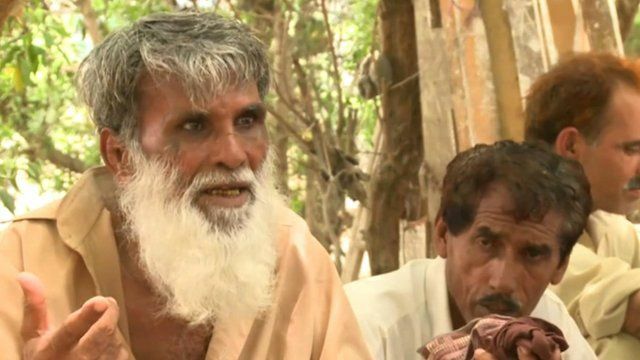 More than 200 people are now believed to have died during a heatwave in Pakistan's southern Sindh province. Health officials say most of the deaths have been in the largest city, Karachi, which has experienced temperatures as high as 45C (113F) in recent days. Labourers continue to wait for work in the searing heat. One labourer told the BBC how the electricity cuts and water shortages are making his life even worse.